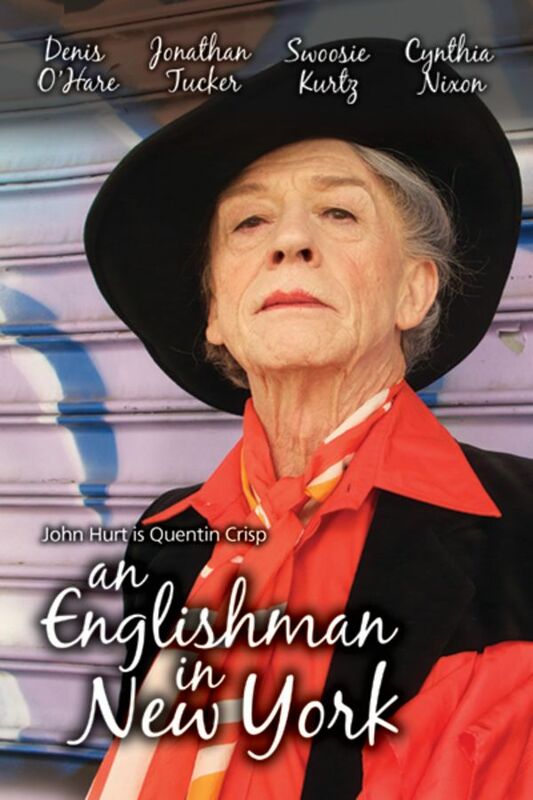 After his autobiographical film becomes a hit, Quentin Crisp moves to New York City to star in a one-man off-Broadway show for a month. But one month turns into years as Crisp captivates New York audiences with his wit and honesty on a lifetime lived as a foreigner. The film traces his theatrical successes, many friendships, controversies and his own way of living. A terrific performance by John Hurt keeps this otherwise workaday and somewhat hammy retelling of Quentin Crisp's last years in Manhattan watchable. Supporting characters played by Cynthia Nixon and others are fine, but occasionally they are given obvious exposition to speak, instead of background info better worked into more natural dialogue. Actors in crowd shots consistently overact so that the viewer cannot possibly miss them. Toning that down would have helped immensely. Production values are cheap enough that an elevated subway train can be seen in the background when Crisp arrives at a Tampa, Florida bar to speak in. It's short. There are a few stories in here that could and probably should have been expanded in the hands of a best writer and director. I think anyone who watches this movie will find something that relates to themselves. Denise Prat's (Quintin Crisp) words of wisdom, are timeless and full of truths as to how you can live a happy life. His words will inspire or encourage you to tweak your lifestyle in some small way which will, in turn, bring you a bit of happiness to your life. Even though this movie was about being gay in the 80s and 90s his words still hold true for today. I think it is a great movie and everyone gay or straight should watch it. Great performances and interesting story.